It seems as though I have a never ending wish list. 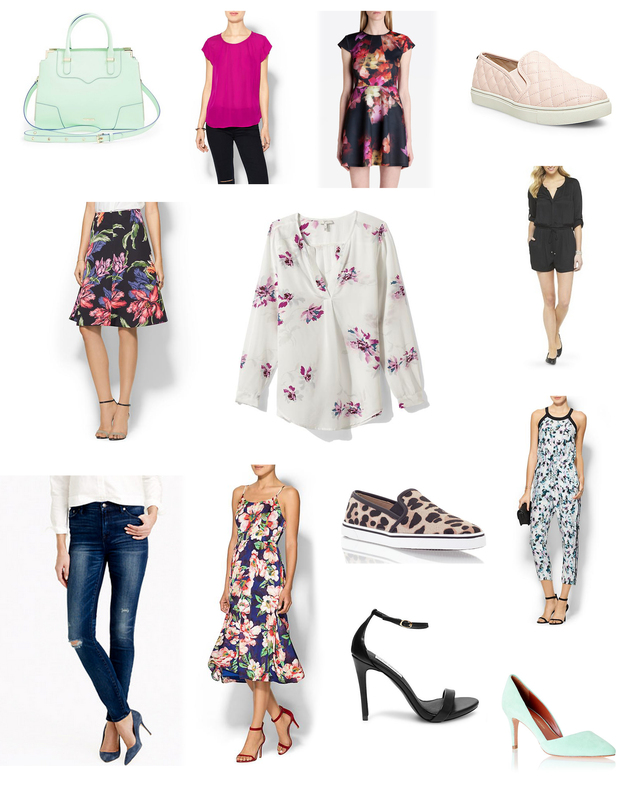 On the top of my mind today: tons of florals, sweet, feminine silhouettes and colors, and leopard shoes (in any form). Also really loving the Vans-style slip on sneakers, so I’ll be on the hunt for some of those. Favorite brands/stores for all these trends: Steve Madden, Piperlime, Ted Baker, Nordstrom & J. Crew.